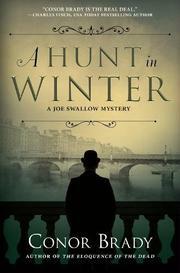 Murder and politics make for strange bedfellows in 1888 Dublin, when Ireland is still chafing under British rule. Despite being Catholic, DI Joe Swallow, of Dublin’s famed G-Division, has recently received a well-deserved promotion and reset his relationship with Maria Walsh, his landlady and owner of the licensed premises M & M Grant’s. As fearful Londoners see Jack the Ripper confounding every effort to catch him, Swallow may be dealing with a serial killer of his own. Alice Flannery, a young waitress on her way home from her job at the New Vienna restaurant, is so badly beaten that she dies in the hospital. The police do everything they can to come up with suspects, investigating even her boss, her brother, and her priest. Two more young women are also attacked. One of them dies, and the survivor remembers little of her assailant. Meantime, Swallow and his boss, John Mallow, chief superintendent of Dublin’s detectives, have another major problem on their hands. Ireland is in constant turmoil, with many groups fighting for independence. In an effort to destroy the credibility of fiery Irish nationalist Charles Stewart Parnell, who’s living in England, the office of security has asked G-Division to produce all the logs of Parnell’s activities they kept while they were protecting him during his visits to Ireland. Swallow and Mallow are certain that destroying Parnell will only lead to more violence. Under constant pressure from the security office in Dublin and especially from the supercilious Maj. Kelly, Swallow and Mallow maintain that they have no knowledge of the logs’ current whereabouts, though Swallow has hidden them in a storeroom in the medical examiner’s office. Although the police use every resource to capture the killer or killers, the approach of Christmas finds them still empty-handed. Maria’s pregnancy encourages Swallow to pop the question, but not even his nuptials slow down the hunt. The window Brady (The Eloquence of the Dead, 2016, etc.) provides into the everyday lives of ordinary Irishmen caught in a dramatic moment gives his third entry a combination of the best elements of police procedurals and historical mysteries.